Beat the holiday rush this year and join us for a Christmas Extravaganza! 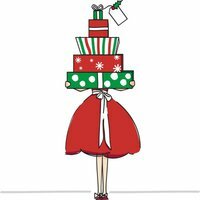 Pre-order your holiday photo cards, book your photo sessions, taste holiday treats you’ll want at all your upcoming holiday gatherings, pamper your skin and buy some early gifts (for you or yourself! ), choose creative favors to give to your guests and make a reservation for your next fabulous holiday event ALL under the same roof! This will be a relaxing event with hot apple cider and holiday tunes that will have you in the Christmas spirit in a matter of minutes! ~ by Salutations & Soirees on November 10, 2010.